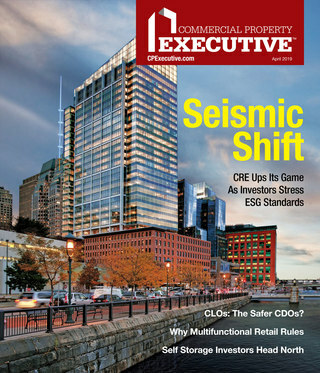 The new CFOs featured here represent a remarkably diverse cross section of the industry. Public REITs are represented alongside private investment management firms, leading owner/developers and up-and-coming players. Their companies are taking on some of the industry’s most dynamic deals and projects. And they have at least one more thing in common: all have stepped into their jobs during the past year. Though they may have taken on their jobs recently, these CFOs are all seasoned professionals. Some have risen steadily through their company’s ranks, while others served in executive positions elsewhere. These brief sketches also reflect the variety of hats that CFOs wear today. Besides supervising the balance sheet and fulfilling intricate fiduciary responsibilities, they are also charged with shaping strategy. The executives profiled here recently took time to share insights on company strategy, industry trends and their professional journeys. The company: Washington, D.C.-based private real estate investment/operating company founded in 1992. Member of a global investment firm, Capital Guidance, headquartered in Geneva, Switzerland. Current signature projects include The Wharf, an urban waterfront mixed-use project in Washington, D.C., and Pacific Place, a recently acquired 350,000-square-foot retail mall in downtown Seattle. On the job: Serving in the dual roles of CFO & chief administrative officer, Elliott oversees financial operations, directs information technology and human resource teams, and collaborates with executive leadership on strategic growth objectives and strengthening core business support efforts. Previous position: Senior vice president/controller & acting CFO at New Tower Trust Co., a division of Bentall Kennedy. Top priorities: Ensuring that Madison Marquette is able to execute on delivering returns for investors and partners through realization of its strategic plan. Meeting our financing goals and delivering accurate, timely and concise financial reporting, both internal and external. Properly deploying IT infrastructure to support effective and efficient communication. What’s on my radar: One of the key capital market trends Madison Marquette is taking advantage of right now is the influx of Asian, Middle Eastern and other foreign capital into the U.S. commercial real estate market. We are leveraging these trends by creating strategic investment programs that respond to the types of investment opportunities these investors are seeking. Madison Marquette is very focused on the shifting demographics that will affect commercial real estate over the next ten years, particularly the growing influence of the Millennials. Mentor/inspirational figure: Steve Furnary, chairman & CEO, Clarion Partners. Notable accomplishments: Working with NewTower Trust, Bentall Kennedy and board team members to successfully build a first-class financial team to handle complex real estate financial reporting and ensure that all regulatory compliance and audits for a $7 billion GAV fund are executed properly in accordance with best practices. Matt DiLiberto, SL Green Realty Corp. The company: The REIT is New York City’s largest owner of commercial office properties as well as one of its largest investors in retail assets, multi-family properties and structured finance. On the job: Oversees finance, accounting, corporate capital markets and investor relations. Previous position: SL Green’s chief accounting officer & treasurer. Joined SLG in 2004. Top priorities: To ensure that we are always fiscally nimble enough to capitalize on opportunities, and that acting on those opportunities is accomplished with an eye towards maintaining and improving upon our investment grade credit metrics while helping generate outsized total returns to shareholders. What’s on my radar: New York City’s economy and the real estate market fundamentals are hitting their stride, SLG has an enviable growth trajectory ahead and our capital structure is as strong as it has ever been. But positive fundamentals can be masked by macroeconomic or global concerns reflected in current headlines. So I am focused on making sure that SLG’s capital structure is well protected against volatility and that we always have multiple sources of capital at our disposal, while closely monitoring the New York City economy and our operating fundamentals. Mentor/inspirational figure: There have been so many positive influences that to call out one or two would be doing a disservice to so many more. I will say I have worked with a very diverse and extremely talented group of CFOs in my career and I have incorporated some element of every one of them into what I am today. I also serve my community as a firefighter and emergency medical technician, which is what gives me my real inspiration. It also keeps me grounded. Notable accomplishment: Spending the past 11 years at Manhattan’s largest, most profitable commercial property owner, working with the most talented people in real estate and ultimately taking the reigns as CFO. Linda Chu, Swire Properties Inc. The company: Wholly owned subsidiary of Swire Properties Ltd., a Hong Kong-based international developer specializing in urban office, hotel, retail and condominium properties. On the job: Oversees fiscal functions and performance, including the $1.05-billion Brickell City Centre. Miami’s largest mixed-use urban development, the 5.4 million-square-foot project includes a two-level underground car park and 2.9 million square feet of office, residential, hotel, retail and entertainment space. Previous position: Joined the parent company in 2013 as head of finance for Hong Kong-based Swire Hotels. Top priorities: Seeing the various components of Brickell City Centre complete construction and begin operation. Preparing for future projects, such as One Brickell City Centre, an 80-story mixed-use tower that will be part of Brickell City Centre’s second phase of construction. What’s on my radar: 1. Projects in Miami’s pipeline; 2. Land and property transactions; 3. Sales and market rent movements. Mentors/inspirational figures: I am very lucky to have had opportunities to work with a number of great people throughout my career who are extremely inspirational, visionary and professional. Notable accomplishments: In the real estate sector, it is always very satisfying when you see a transaction or a project completed. Sanjay Chauhan, Jonathan Rose Cos. The company: New York City-based investment, development and project management firm whose mission is to repair the fabric of communities. Acquires and develops transit-oriented, green, mixed-income residential, innovative office, civic, education and health-serving projects. Nationally recognized for achieving visionary goals through practical, duplicable strategies. On the job: Oversees administrative, financial, and risk management operations. Leads development of the financial and operational strategy, metrics tied to that strategy, and the development and monitoring of control systems that provide insight into asset performance and report accurate financial results. Manages investor relations and oversees the firm’s investment funds. Previous position: CFO & asset management leader at Urban American, a New Jersey-based firm focused on acquiring, improving, and managing workforce housing. 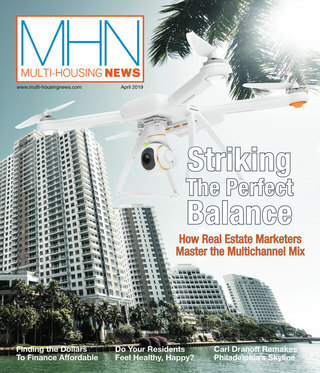 Played an integral role in Urban American’s expansion in the multi-family sector. Top priorities: Our goal for the next 18 months is to raise more money to grow our acquisition and preservation of affordable and mixed-income housing. Another goal of mine is to continue to develop a metric/feedback system to help us tune our activities to meet our objectives. What’s on my radar: Interest rates are certainly the 800-pound gorilla in the room. Also, the direction of the U.S. economy is not really clear because of various international factors, including the ongoing situation in the Middle East, Russia and the slowdown of China’s economy. Right now, there are too many storm clouds all over the place to predict where the economy is going, and this uncertainty is troubling. Mentor/inspirational figure: I’ve always been lucky to have inspiring people in my life, but I guess the biggest influence was my father, who truly believed in success and being ambitious while at the same time doing good and helping others. Notable accomplishment: The work we did at Urban American acquiring, improving and managing workforce housing, as we were able to grow the portfolio from 3,000 to 13,000 units with a small team in a relatively short time. The ability to grow a platform and see it flourish is very satisfying. I’ve brought the same spirit to Jonathan Rose Companies on a larger scale. Steven Friedman, Walton Development & Management (USA) Inc. The company: Multi-national real estate investment and development group focusing on the research, acquisition, administration, planning and development of land in North American growth corridors. It has nearly 97,000 acres of land and $4 billion in assets under management. On the job: Enhancing Walton’s capabilities to offer a variety of residential, industrial and commercial property opportunities to builders and developers in all markets. Previous positions: Principal with Ernst & Young LLP. Served most recently as national director of the firm’s homebuilding and land development practice, largest of its kind in the United States. Top priorities: The company is unique in that it combines an extraordinary level of land development and entitlement expertise with a long-standing reputation of thoughtful capital stewardship for its partners. Working with our deep bench of financial expertise, my goal is to help enhance our existing capital relationships, strategically deploy that capital as well as develop and expand new relationships. What’s on my radar: While land truly is a local business, changes in national and state policies can dramatically affect the measure of value we bring. So I do pay attention to large-scale possible changes to policies that impact land values. Mentor/inspirational figure: This may sound goofy, but my father. My dad was an accidental entrepreneur who demonstrated his values, rather than preach them. I learned from him some great life lessons–the values of personal and professional integrity and respect for the individual, any individual. Notable accomplishment: In my past life, there was a successful private homebuilder with a long track record of success. He’d had a run of 20 years of increasing sales and profits and he had built an awesome team. The storm clouds of the Great Recession were looming in the horizon and I told him that I thought it was time to sell the company. Values were at historic highs, there were a multitude of interested parties for his business and I thought the near-term economic outlook was unusually poor. I had no idea just how bad the recession would be. Well, he listened and we helped him execute a very successful sale for cash. He got to spend time with his family and secure their economic future. The company: San Francisco-based investor/manager specializing in unique buildings throughout the Bay Area. Identifies, develops and invests in infill communities that benefit from proximity to mass transit, innovation centers, amenities and services. On the job: Oversees tax planning, financial reporting, investor relations and project finance. Previous position: Sixteen years at Fremont Realty Capital; served most recently as CFO. Top priorities: Maintaining industry best practices in areas of my responsibility and further enhancing our institutional-level reporting and internal benchmarking. What’s on my radar: The impact rising interest rates will have on real estate values. The question is whether value implications from rising cap rates, due to rising interest rates, will be offset with increasing NOI. Mentor/inspirational figure: Robert Speicher. Bob was a Managing Partner in Trammell Crow Residential who was involved in forming some of the largest multifamily REITs. I worked for him after he started his own company. I learned from him the true meaning of rolling up your sleeves and the discipline of constantly maintaining best practices in your job. Notable accomplishment: Played an integral part in raising several funds while I was at Fremont. Working on the funds and finally getting my first carried interest check. Phil Joseph, Spirit Realty Capital Inc. The company: Net-lease REIT listed on the New York Stock Exchange (SRC). Specializes in single-tenant, operationally essential assets where tenants conduct activities essential to their sales and profits. Start date: Start date: April 2015. On the job: Oversees accounting, financial reporting, finance, investor relations, tax and IT. Also involved in stakeholder engagement and capital markets activities. Previous position: Managing director & global treasurer at Prologis Inc., where he spent 13 years. Top priorities: Ensuring the prudent growth of the company as well as continuing to expand our financial and operating disclosures to highlight what we have accomplished and the embedded organic growth we feel our real estate portfolio can deliver … We are looking to diversify our capital structure to a more balanced unsecured debt funding strategy to enable us to more strategically access capital. Mentor/inspirational figures: Walt Rakowich hired me when Prologis had only $5.5 billion of assets owned and under management and gave me the opportunity to relocate my family to Europe to broaden my skill set. In addition, Bill Sullivan had a CFO skill set that I try to emulate to this day. Notable accomplishments: Contributing to Prologis’ growth from $5.5 billion of assets owned and under management to more than $45 billion when I left; helping manage the company through its financial restructuring leading up to the merger with AMB. I worked with a great team at Prologis and I am very thankful to have worked for a best-in-class REIT. Lisa Ross, Behringer Harvard Opportunity REIT I Inc. The company: Non-traded REIT sponsored by Behringer, the Dallas-based sponsor/manager of institutional-quality investment vehicles. On the job: As CFO and principal accounting officer, responsible for financial reporting and accounting. Also treasurer of Behringer Harvard Strategic Opportunity Funds I and II. Previous position: Has held several accounting/financial reporting roles, including senior vice president & treasurer, since joining Opportunity REIT I in 2011. Previously served from 2006 to 2010 as controller of a private real development project, and managed accounting and financial reporting for a family office. Top priorities: Opportunity REIT I is a finite life fund and we are in our disposition phase. Our primary goal is to identify assets for sale and, where we believe we can create additional value, invest in them. What’s on my radar: Rising interest rates! As it is likely that the Fed raises rates this year, how much the rise in rates will affect the commercial real estate market in general and certain asset classes is uncertain. This has been such an uneven recovery from 2008. Mentors/inspirational figures: If I picked just one, I’d probably be in trouble as I have had so many great mentors through the years. What they had in common is that they took time to share their ideas, offer guidance and give very honest feedback. Although it was hard to hear and appreciate at the time, as I look back it was those that were toughest on me that taught me the most. Notable accomplishments: I’ve been fortunate to work in residential, office, retail and hotel asset classes through the years. A thoughtful, well-planned project or development can change an entire community for the better. Seeing a project or development thrive five and ten years down the road gives me a great feeling of accomplishment. The company: Headquarted in Columbia, S.C., EDENS develops, owns and operates community shopping centers in primary markets across the country. At most recent report, portfolio comprised 136 properties in 14 states. On the job: Oversees capital markets, investor relations, finance, accounting, tax and treasury. Previous role: Ten years as EDENS’ managing director & head of capital markets. Top priorities: As part of an executive team that transitioned to our new roles this past spring, I’m rounding out my own team and ensuring a seamless transition. Internally, we are focused on simplifying our processes and reporting to enhance efficiency without sacrificing the high quality that we demand of ourselves and that our stakeholders expect. Externally, we plan to keep doing what we’ve done for the last decade—focus on maintaining strategic capital relationships, our investment grade-quality balance sheet and being opportunistic investors. What’s on my radar: With the Fed expected to increase rates later this year, we will be closely monitoring what happens to long-term rates, growth expectations and ultimately cap rates. As always, the cross-currents of macroeconomic issues—challenges from China, Iran and Greece, combined with a fairly stable U.S. labor and economic environment—make predicting the future difficult. Mentors/inspirational figures: I’ve had so many … During my career at the Parker Poe law firm, Lehman Brothers, Wachovia Securities and EDENS, I was fortunate to have had incredible mentors and teachers every step of the way. Notable accomplishments: In my line of work, you certainly remember transactions. Of course, there are many over the years, but one of the trickiest and most satisfying was the tax increment financing transaction for our Mosaic mixed-use project, just outside of Washington, D.C., in Fairfax County, Va. It was the county’s first TIF deal, and it required four years of hard work. The financing helped the company deliver an exceptional development project during the Great Recession. Other than transactions, I’m really proud of the depth and breadth of capital relationships that I’ve had the good fortune of fostering over the last decade.